My company has a security concern and they have requested to disable storing all offline cache copies of office 365 emails. We use outlook 2016, thunderbird and the exchange server is office 365 tenant. We use different operating systems, such as mac/ubuntu/fedora/widnows to access emails which makes hard to stick to local group policy to block storing offline cache copies. We are trying to disable storing emails offline. 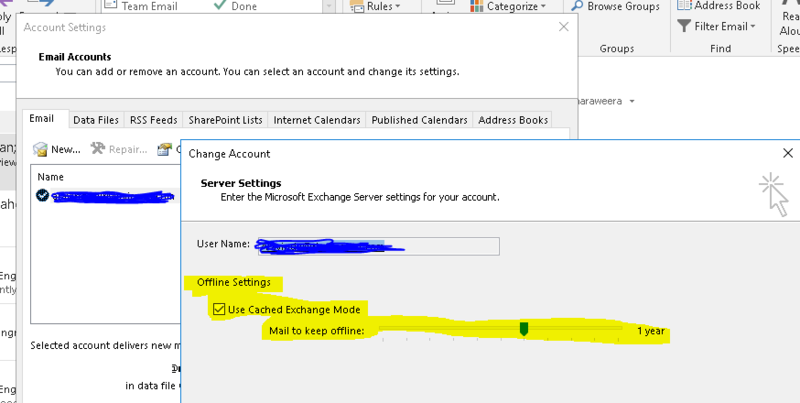 What I have tried is I have applied a policy using "Outlook Web App policies" in ourlook 365 via https://outlook.office365.com/ecp/ "permissions" ----> "Outlook Web App policies" and disabled offline access in the below manner. this message will appear, which is as expected. The problem lies with outlook and other clients such as thunderbird. 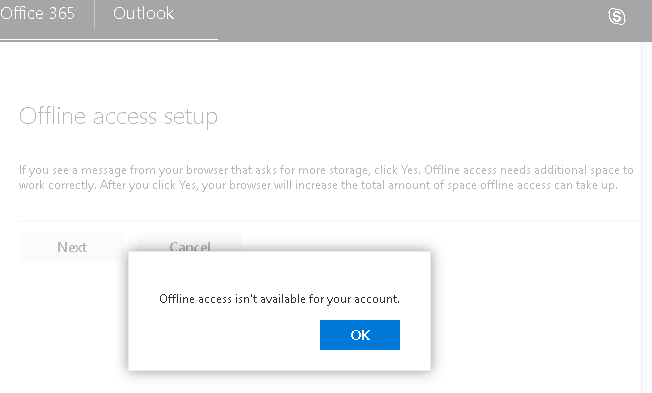 "Outlook Web App policies" wont disable offline access for outlook/thunderbird etc. It will still allow users to save offline copies in outlook/thunderbird etc. but again its only for onpremis-exchange according to this . MapiBlockOutlookNonCachedMode seems not working for office 365. 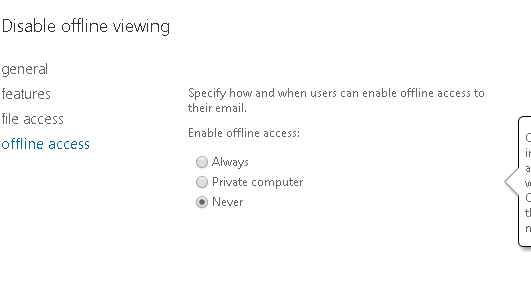 Any viable option/advice to achieve above goal to disable storing all offline cache copies of office 365 emails.? Thanks a lot in advanced. I don't think that's possible or even reasonable. At least if you want a serious and permanent solution. The only way I can think of in your scenario with multiple operating systems and clients, it's to simply disable everything (POP3, IMAP, ActiveSync) but the webmail. Otherwise it's up to the client (thunderbird, desktop outlook or even mobile email clients) to decide when the cached timeout will occur. And even if you forced everything through GPO or webmail, if someone wants to keep an offline copy, they could simply download it or forward their mail to another (personal) account with the ability to save it. You might want to have a chat with management and try to explain that doing this wont be cost effective nor practical. Or at least, ask what's their security concern, so you can see if there are other methods to clear them. Not the answer you're looking for? Browse other questions tagged exchange outlook microsoft-office-365 exchange-2013 or ask your own question. How can I prevent Mac Mail from connecting via Exchange ActiveSync while still allowing my other devices? How to disable autoforwarding option in office 365? 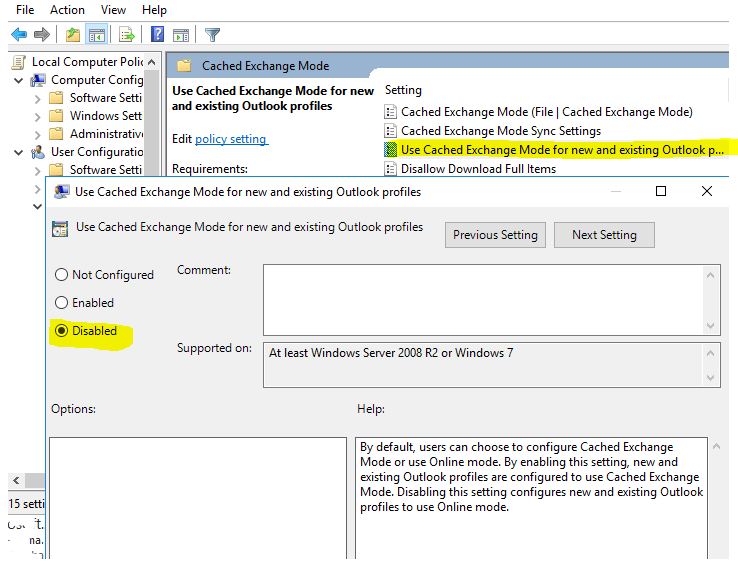 Why can't I edit my own contact info in Global Address List of Outlook client anymore?